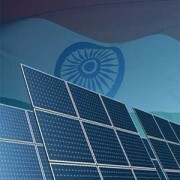 Need to setup solar power plant in India ? Firstly, since the previous lowest utility-scale solar bid from Finnish firm Fortum at INR 4.34/kWh13 months ago, the loans tenor has gone up, meaning that banks today can give loans up to 19 years. 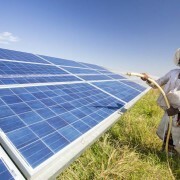 The solar PV plants in India are entering a phase of maturity. The total installations will exceed 2 GW by the end of the year, and about half of them would have completed more than 1 year of operations by that time. As the plant becomes older, Operation and Maintenance (O&M) becomes more and more important for improving the performance of the plant. In this article, some of the important aspects of O&M are highlighted. A few challenges related to them and some solutions are suggested. Preventive Maintenance (PM) which includes routine inspection and servicing of equipment which help prevent breakdowns and reduce energy yield losses. PM is usually a scheduled activity. Corrective Maintenance(CM) or breakdown Maintenance(BM) includes repair of broken down equipment and is usually reactive. Condition-Based Monitoring(CBM)involves monitoring of equipment condition and plant operations on a real-time basis and addresses a potential problem at a very early stage to prevent downtime. This requires a robust plant performance monitoring system. A solar PV power plant has several components and each of the sub-system requires different O&M skillsets. A few of the sub-systems and their O&M requirements are mentioned below. While the PV module does not have any moving parts, the yield from the module is highly dependent on the cleaning of the panels. In the dusty environments of Rajasthan and Gujarat, the cleaning frequency has to be quite high. Inverter is the most complicated component of the PV plant and can be called the heart of the system. Since Inverters are predominantly electronics devices, they need to be taken very high care due to the extreme hot, humid and dusty conditions of India. World over, the system downtime is very closely correlated to the inverter downtimes. In fact, in a study conducted in 2010 by US based Electric Power Research Institute, the number of breakdowns is the highest by inverters. From the above graph, it can be noticed that most of the energy losses happen due to the AC Sub-systems. Apart from this, it is also important to periodically check the wiring(using visual inspection and if possible, using infrared scanners). In India, rodents are known to cause damages to the underground cables and it is important to monitor this regularly. Earthing protection also needs to be checked often. One of the tasks of the O&M personnel will be make sure that the growth of shrubs and other vegetation are fully in control. If not, they will grow very tall and will cause shadowing effect on the panels. Snakes and other poisonous reptiles might make these shrubs their home and can cause safety hazard to the workers. The other problems relate to the mounting structures. In some cases, bending of the structures can happen due to the improper design. If left unaddressed, the bending can damage the modules. Similarly, during rainy season, it has been observed that the top soil gets washed away due to improper drainage system. Caving of the foundation and the structures caused by improper compaction of the ground has also been observed. A pro-active O&M team can address this by visual inspection and take preventive action especially before rains. Most of the solar power plants are located in remote places with unreliable communication infrastructure. Most of the remote monitoring systems need an internet connection and in the absence of a reliable connection, there could be problems of lack of data logging for long periods of time. This makes it very difficult to diagnose and rectify problems in a timely manner. The O&M personnel should have a very clear understanding of the warranty terms from the suppliers. They also need to know the type of defects or problems that are covered under warranty, the duration of the warranty and also the key personnel from the supplier with whom warranty claims can be taken up and enforced in a timely manner. The inventory management is critical because this could increase or decrease the cost of the O&M as well as the working capital requirement. It is also essential for the timely completion of the different types of maintenance. The O&M personnel should know very clearly the list of the spare parts available, their quantity at the site warehouse and the lead times for delivery of spare parts from the suppliers. In our experience in India so far, we have come across some of the problems which are very severe. O&M budget – Typically, the O&M budgets are very limited for various reasons. Availability of water – Dust accumulation in India is very high and requires frequent cleaning. However, most of the plants are located in arid regions with very little availability of water. Skilled manpower – Since the O&M involves people who have the skills in electrical and electronics engineering, it is a challenging task to get people to move to such remote locations to work. Local labour – In many places, it is mandated that local villagers need to be employed for O&M. While this is a noble objective and also is important for the economic development of local communities, in some cases the locals form unions and demand wages that make the O&M cost to go very high. Theft – Theft of materials (even PV panels) is rampant in some parts of the country. This can be prevented by having a good security system and a good inventory management system. Documentation – In many plants, there is no robust remote monitoring system. Instead they have a basic SCADA system which provides real-time information, but does not log the events, alarms and other maintenance issues. In such cases, there is very little documentation which can help the O&M personnel to identify, diagnose and trace the problems. 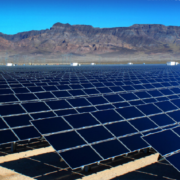 Need a reliable energy company to setup your next solar power plant ? 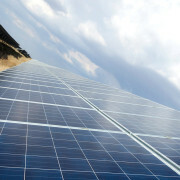 Need to select a solar power developer ? We Are ADLER Solar – delivering affordable, rapidly deployable and sustainable source of clean energy India delhi gurgaon ncr noida. The heart of a photovoltaic solar system is the solar array. Made up of multiple panels, this array absorbs the energy of sunlight and converts this energy into electrical energy. 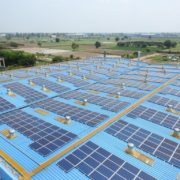 The array is mounted on a frame of the roof, which provides the correct aspect and elevation for the array so that the maximum amount of available sunlight is received and converted into electricity. 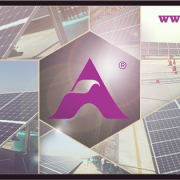 ADLER Solar is an integrated independent solar power developer, delivering affordable, rapidly deployable and sustainable source of clean energy India delhi gurgaon ncr noida. 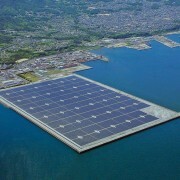 The company has many MW of solar power plants in operation. We have installed plants at homes, offices, schools, colleges and petrol pumps in India and many other places. ADLER Solar’s customers benefit from our progressive system innovations. Around the world, we meet our customers’ desire for the greatest possible reliability, long-term performance and aesthetic integration. No matter which kind of roof – we always have the right solution. ADLER Solar is a leading solar company dealing in solar products, solar power plant installations and providing complete solar energy solutions.You’ve came to the right place – give us a call! At ADLER Solar , we guarantee maximum quality from raw material to complete solar systems. In our panel testing laboratories, products and materials undergo meticulous and detailed inspections that exceed international standards. Our proven quality guarantees our customers decades of high performance and the security that comes with investing in a reliable product. Our quality is the best buy in the long run. Solar energy contributes to the fair provision of energy, because in many areas photovoltaics is the cornerstone of sustainable and fair economic development. As a company, it’s an area in which we have always felt a shared sense of responsibility.